On January 28, 2019, Dr. 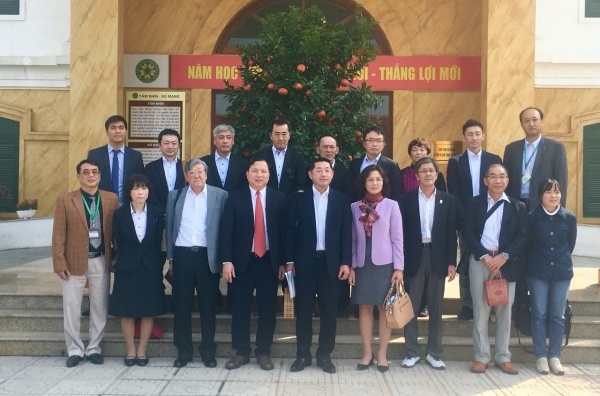 Vu Ngoc Huyen, Director of the Center of Manpower Supply, Vietnam National University of Agriculture (VNUA) welcomed a delegation of cooperatives from Akita, Japan. 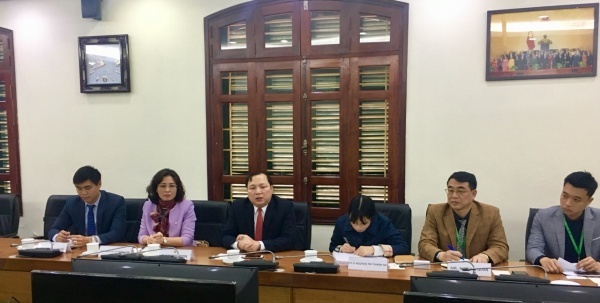 Participating in the welcoming meeting were Mrs. Nguyen Thi Hoang Yen, Vice Dean of the Department of Cooperatives and Rural Development, the Ministry of Agriculture and Rural Development together with staff at the Department of Foreign Affairs of the Center of Manpower Supply. At the meeting, Dr. Vu Ngoc Huyen expressed his happiness to welcome the delegation to VNUA. Afterwards, Mrs. Nguyen Thi Hoang Yen introduced briefly about the strengths of Vietnamese agriculture sector in general and the status and organizational structure of cooperatives in Vietnam. Mr. Hajime Kobayashi, the representative of Akita’s cooperatives, said that Akita is the sixth largest province in Japan, with a fairly developed agriculture beside seafood and food processing industries. Currently, the province attracts many interns. He hoped that in the future, the province would receive the labor force including young cooperatives officials and students from VNUA to do internships and work in the cooperatives of the province. Dr. Vu Ngoc Huyen also mentioned about the program of sending Vietnamese agricultural laborers to Japan. This is a program implemented under the Decision No. 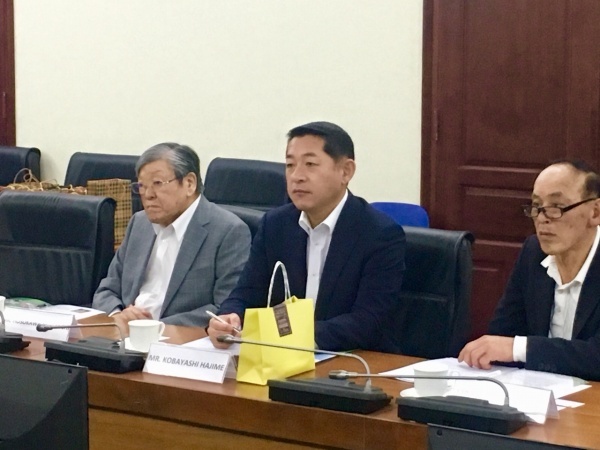 3852/QD-BNN-KTHT dated October 2, 2018 of the Minister of Agriculture and Rural Development, which plays an important role in establishing a comprehensive cooperation and the exchange of high quality agricultural labors between Vietnam and Japan. He proposed that Akita’s cooperatives would rapidly develop plans for receiving cooperative officials and students to work and study at cooperatives in the province so that they could have opportunities to improve their skills, gain more income and experiences. At the end of the discussion, Akita’s co-operatives delegation conveyed their deepest attitude to VNUA’s leaders and staff, Center of Manpower Supply as well as Department of Cooperatives and Rural Development for the warm and friendly reception. The delegation will consider proposals in the discussion and soon develop specific plans, especially the program on sending agricultural labors to Akita’s cooperatives. 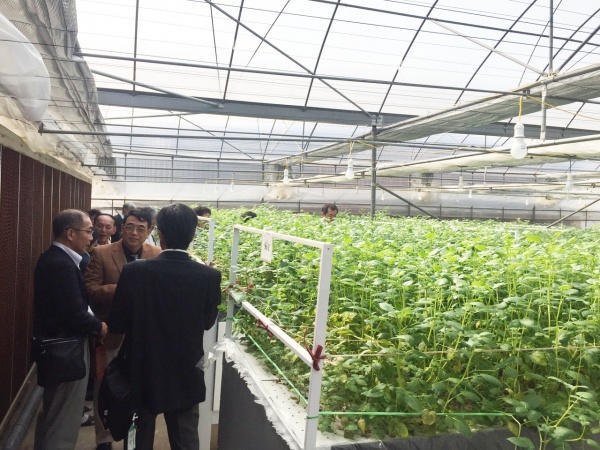 After the meeting, the delegation paid a visit to the net houses for Que Huong potatoes ( a project in collaboration with Vietnam Orion Group) at the Institute of Agro Biotechnology.